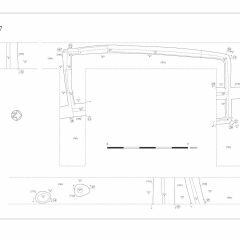 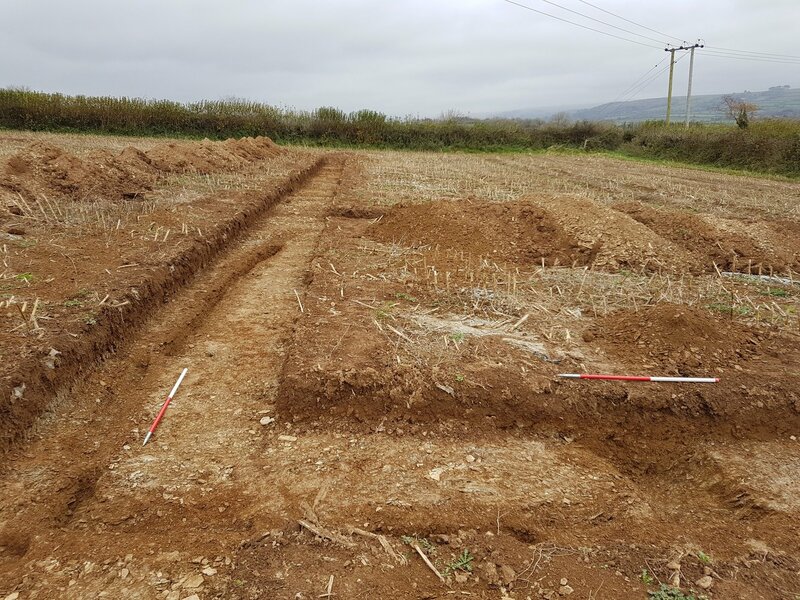 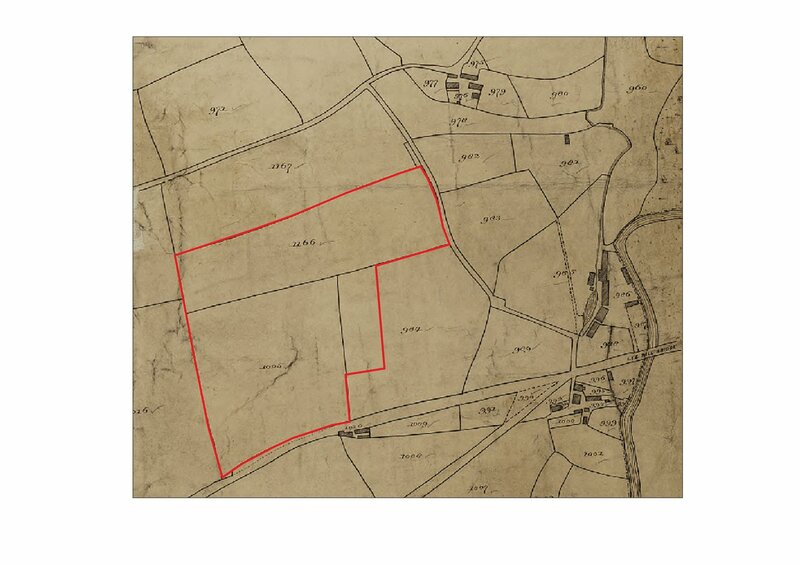 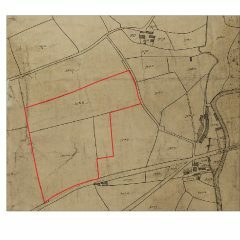 Oakford Archaeology was commissioned in 2017 by Placeland Ltd to undertake a staged programme of archaeological work on land behind Holly Berry Lane, Lee Mill, Devon. 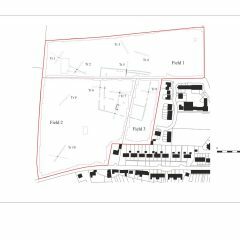 A geophysical survey was undertaken across the site by Substrata. 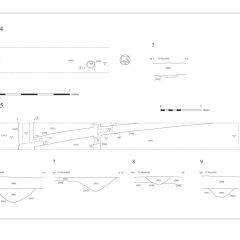 A series of anomalies were identified including a possible sub-square enclosure and linear boundaries and the subsequent trench evaluation was targeted on these results. 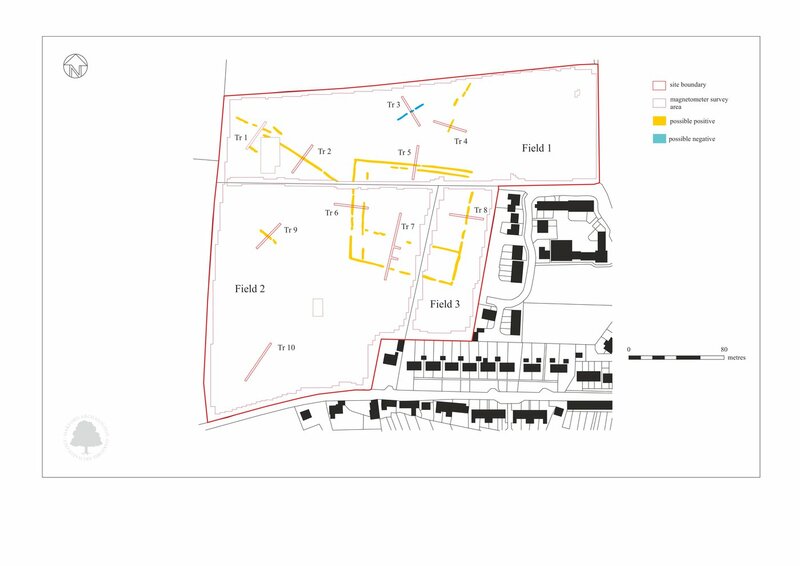 The remains of a large sub-square enclosure and evidence for internal linear sub-divisions, the remains of a single building, as well as two pits, were identified in the centre of the site, while trenches to the north and northwest of the enclosure identified the remains of two ditches running in a north-westerly direction. 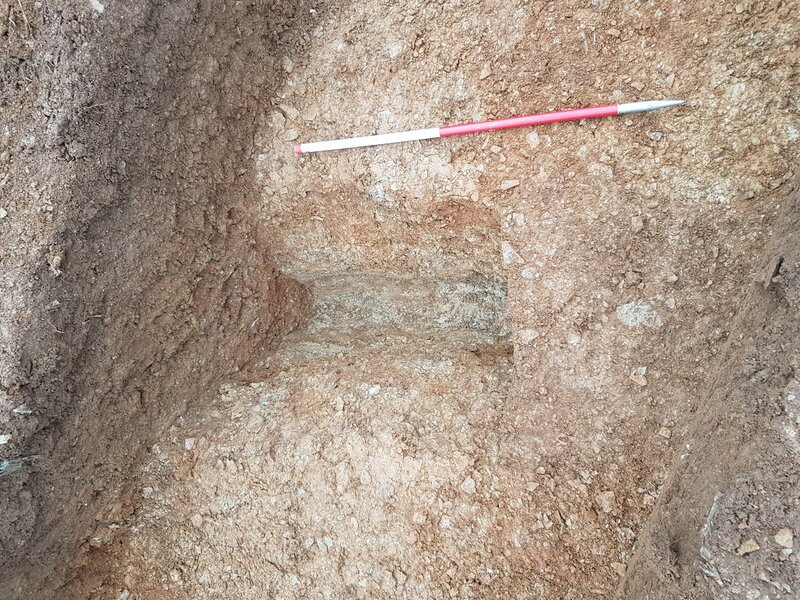 Trenching to the north and west also identified the remains of two postholes. 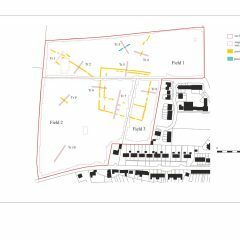 Although no finds were recovered from any of these features a single posthole, located at the northern end of the site has been radiocarbon dated to the late Saxon period. 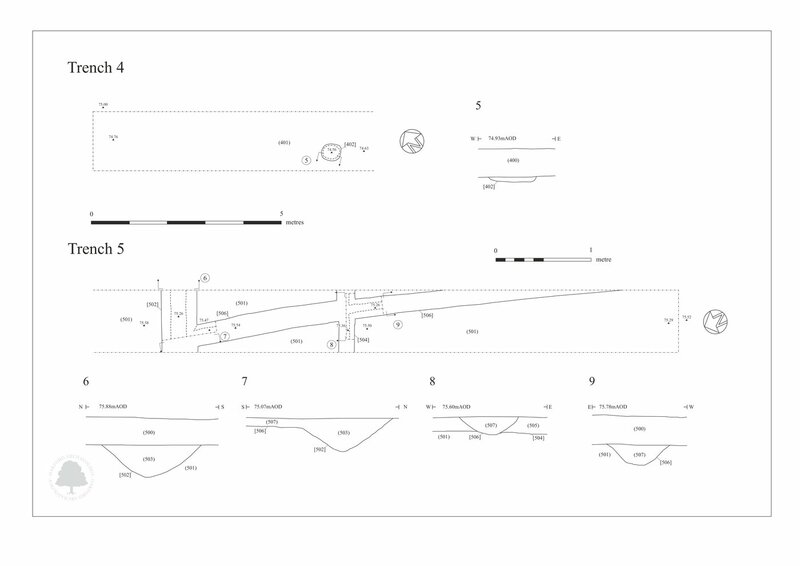 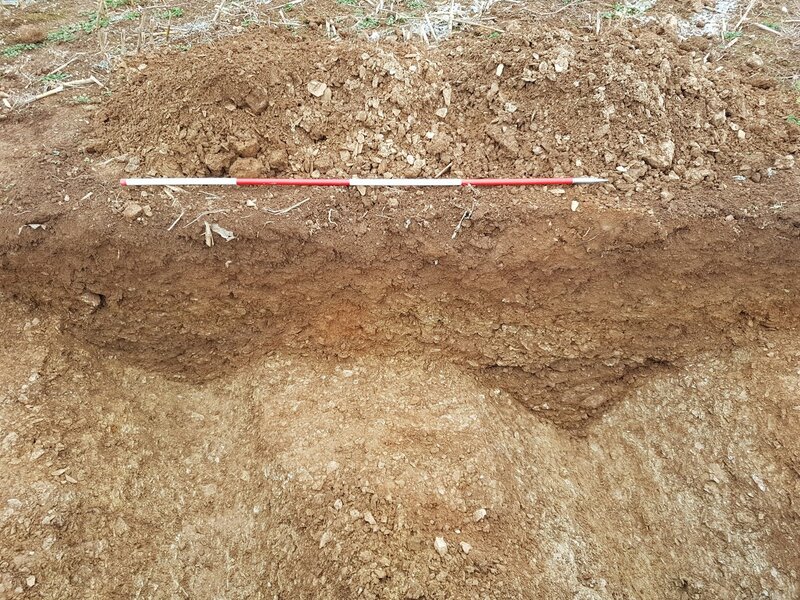 Two linear ditches were identified whose alignment correlates poorly with the existing field system. 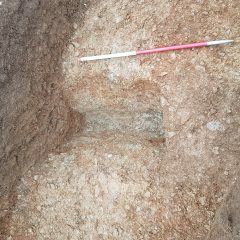 The character of these is not inconsistent with boundary features of prehistoric date, although it is unclear whether these forms a continuation of Bronze Age activity identified recently to the south of the A38. 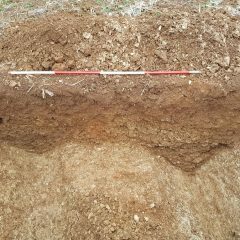 A single posthole located towards the northwest corner of the site returned a radiocarbon date of late Neolithic or Early Bronze Age date. 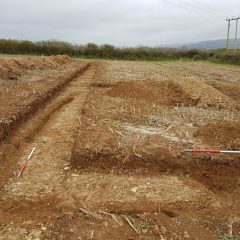 While there were no finds recovered from the features, the character of the enclosure and its associated field system, and their correlation with the alignment of the current field boundaries, indicates that they likely represent evidence for medieval activity. 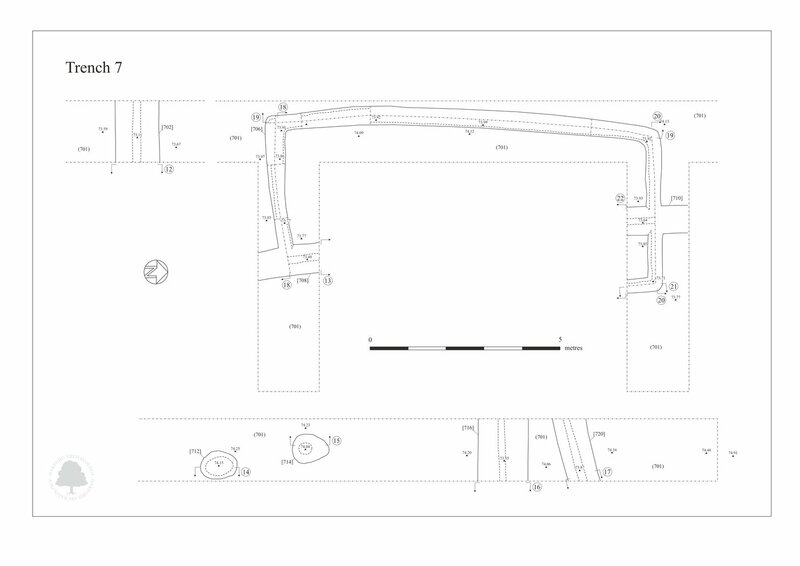 Evidence for an earlier, perhaps late Neolithic or Bronze Age fieldsystem, was also identified.